Color vinyl strap clips add a touch of color to your ID badges. Vinyl provides flexibility and rugged durability when attached to your ID badges. 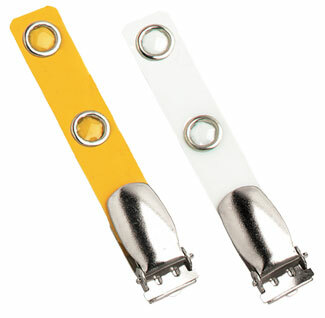 All color strap clips feature sturdy nickel-plated steel bulldog clips and secure-fitting snaps. Choose from seven solid vinyl colors. Colored vinyl strap clips can be a simple way to differentiate divisions, departments, titles, duties, access categories, etc. 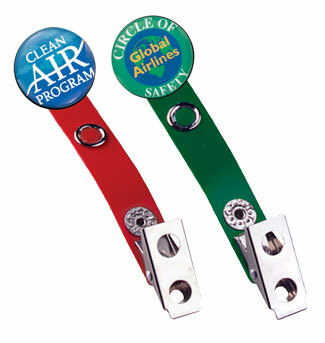 Build and enhance your corporate or brand identity by adding a custom printed logo emblem to your colored strap clips.